The second episode of Life is Strange 2 opens with a recap in the style of a bedtime story. It replaces the two brothers with wolves, their friends and family with other helpful animals and their ‘foes’ with merciless human hunters. It makes for a blinding contrast with the actual episode and highlights how heavy this new season is and, compared to the original, how much harder it is to approach. Rules isn’t as well-rounded as the first episode, with a few issues that drag it down, but it makes one thing very clear: Life is Strange 2 will only diverge more from the original series with every episode. For better or worse, it continues to push away fans of the original game who were either unprepared or simply not open to such a different title. However, the more I think about Rules, the more I like it. By the end of the episode, the sequel series has firmly developed its own admirable identity and is already living up to its impressive ambitions. Following the end of Episode 1, Rules continues Sean and Daniel’s journey south from Seattle. Still on the run and struggling to survive by themselves, they keep onwards to Puerto Lobos, their father’s home town in Mexico where they believe they’ll be safe. It’s been about a month since the end of the first episode and the brothers have been living in an abandoned house in a forest in Oregon. Sean has been helping Daniel improve his newly-discovered telekinesis, they’re becoming more comfortable on their own, and their puppy Mushroom is a much-needed respite for both of them, but it’s winter, Daniel is sick, and he isn’t getting better. In Sean’s eyes, their only option is to travel a few days to Beaver Creek and seek help from their maternal grandparents. Distrusting of everyone and estranged from their grandparents since their mother abandoned the family – including her children and her parents – years ago, their help isn’t a guarantee. Sean and Daniel’s journey isn’t the overwhelming challenge it originally was and Episode 2 moves away from their day-to-day difficulties, skipping days and weeks at a time. It adds a novelistic touch and focuses on what’s most important, while also using these unseen moments to underscore some subtle character development for the brothers. The in-game journal really comes into its own here. Mechanically and narratively, Sean’s journal is already a core part of Life is Strange 2, just like in the first game. It both recaps these timeskips (as well as previous episodes) and layers characters and events with more detail. It also draws more and more from the player themselves as their in-game choices are reflected in Sean’s writing and sketches are added to the journal. Already full of both at the start of Episode 1, Sean’s journal takes on a life of its own and adds further dimension and personality to the life-like settings and characters. Episode 2 is also where Life is Strange 2 crosses over with The Awesome Adventures of Captain Spirit, the prologue and demo that released before Episode 1. Without spoiling anything, playing that mini-episode absolutely improves this experience and adds depth to the episode as a whole. It’s not necessary but it’s strongly encouraged. Rules opens with a lot of the blue dialogue and sad, tired inflections of the first episode, and though the constant mourning and worrying is difficult to criticize due to the nature of the story, it’s depressing nature and the sheer repetition can pull players out of the story instead. However, the episode moves on quickly to focus on Sean and Daniel’s estranged mother and their grandparents. Following a few hints in the first episode, Rules starts to unveil the elephant-in-the-room that is their mother. It reveals little other than her name but so far, it’s a compelling mystery and dramatic throughline. For a video game, it’s also a very unique topic, exploring Sean’s resentment and hatred that’s barely softened by Daniel’s innocent curiosity for a mother he’s never met, this muddied relationship between them, and even their grandparents’ own attempts at forgetting her entirely. For a story that’s already made family an overarching theme, this rejection of family, especially alongside Sean and Daniel’s wider social isolation (more on that in a second), is fascinating. The experience of the ‘other’ or the ‘outsider’, and the near-constant anxiety and distrust, remains a major theme in Episode 2, always reminding players that Sean and Daniel never really ‘belong’, in smaller and larger ways. That they haven’t been anywhere they can call ‘home’ since the opening of Episode 1. This doesn’t mean that every character is hostile or intentionally distant but this sense of isolation, of looking after one’s own (in terms of family, race, or otherwise), permeates the game. It’s reflective of the wider world in 2019 and not just the United States. In depicting our world as one that’s rarely an embracing or accepting one, with two persons of colour who are already judged at a glance by many, Life is Strange 2 crafts a world that’s all too real in its ever-present intolerance. It also undercuts the significance of Daniel’s telekinesis for great effect; when so many already label strangers as enemies based on their appearance or origin, would news of Daniel’s psychic powers really change much in these people’s minds? Unfortunately, Rules has moments where it railroads the player’s decisions. 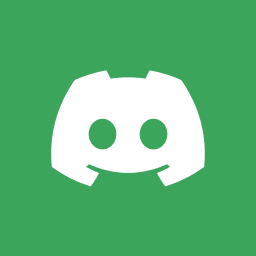 This is either through choices that are overly binary, like choosing between ‘nice’ or ‘get angry all of a sudden’, or actually forcing players to make choices they’d rather not. Though some are worse than others, and there are genuinely difficult choices throughout the episode that sort of balance these out, they’re still disappointing to see. This episode’s signposting can be disappointing as well. Signposting (as in foreshadowing future plot points) is obviously expected but it can diminish the player’s sense of choice when certain beats are telegraphed so transparently. For an episode that already felt a little loose as a story, it feels even more so when the player’s role is undermined by in-your-face foreshadowing. Despite this, I’ll admit that the variety of choices and outcomes revealed at the end of the episode shows a far broader range than I expected. A number of outcomes seems to hinge on many smaller decisions (likely including the previous episode) and not just the obvious, large-scale choices. This is especially true for those involving the younger brother Daniel. With the growing scale of his autonomy becoming clear, Daniel isn’t just impressive as an AI-led NPC but as a genuinely reactive focal point of Life is Strange 2. He grows, changes and acts as a unique person depending on the player’s actions as Sean, and it’s reassuring that this can already be seen in just the second episode. Hopefully this stays true as the season continues. Overall, Life is Strange 2’s second episode is a little disjointed. The episode may be titled Rules but it’s a loose thread to connect a scattered story. By itself, it seems more concerned with bridging the first and third episodes and pushing through some necessary exposition instead of telling a fulfilling story. Choices can feel black-and-white or even forced, something Life is Strange usually avoids. However, this doesn’t mean that Rules is a poor episode or follow-up. In fact, the second episode absolutely keeps to the quality of the first and pulls this new series and its central themes into focus. With Rules, Life is Strange 2 has begun to crystallize its own unique identity, one that’s very distinct and separate from the previous series. With the same honest, anxious and raw creative voice, Episode 2 continues to tap into a very current sense of toxicity, rejection and isolation that so many face around the world as social intolerance gains a foothold yet again. While Life is Strange 2 doesn’t focus on exploring this in stomach-churning detail (at least at the moment), the experience of “otherness” is firmly at the heart of this new season. This second episode of Dontnod’s Life is Strange 2 is a little messy, sure, with a few lingering issues, but Rules showcases a strong and powerful identity for the sequel. Layered with interesting relationships, sequences that effectively build on what’s been established and a reassuring focus, the second episode has me excited for whatever comes next. 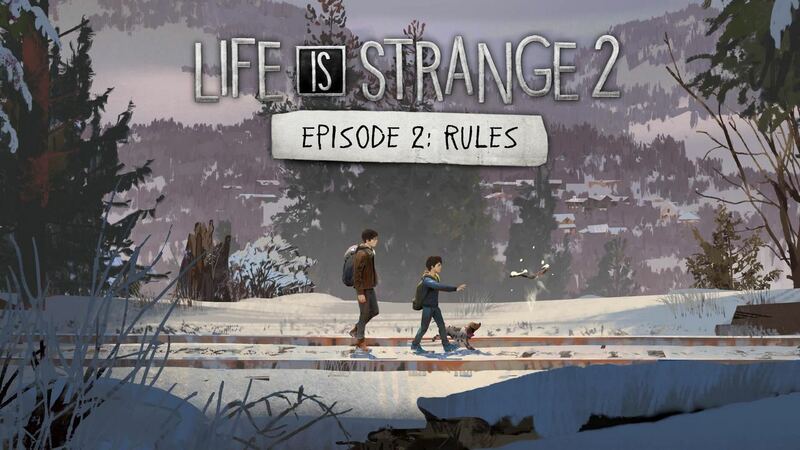 John reviewed Life is Strange 2 – Episode 2: Rules using a PlayStation 4 code purchased at retail.